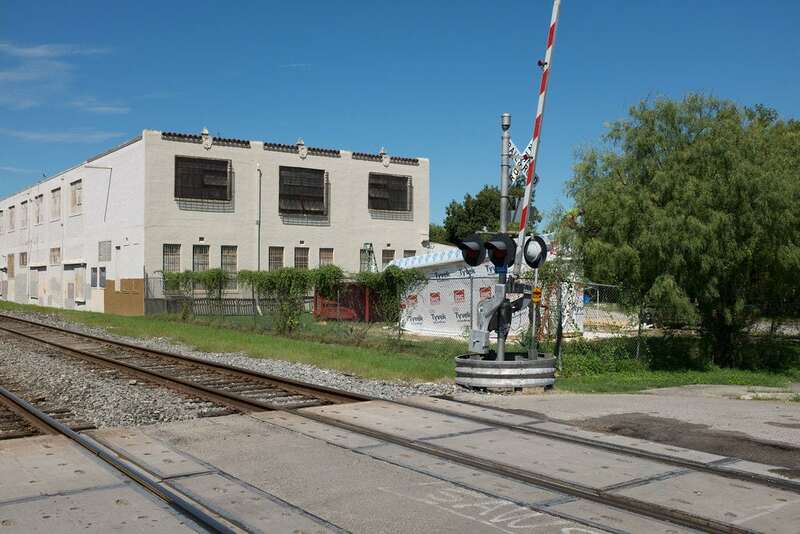 Next to a set of active railroad tracks is an old coffee factory that once was home to Hoffmann-Hayman Coffee Company, or H&H Coffee. Brett Elmendorf bought the building in 2014 to work in and, perhaps at some point, to live in. Loud trains have prevented the latter from happening, so far. It hasn't stopped him from making things. 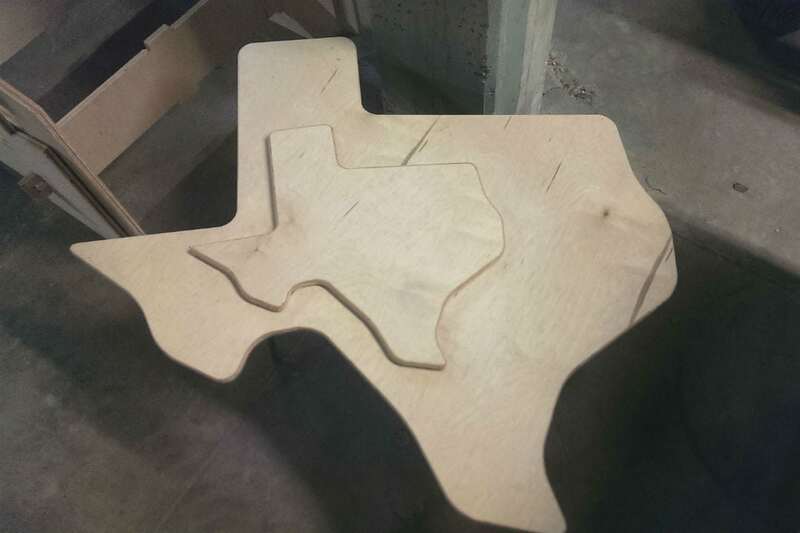 Table designed and built by San Antonio-based Brett Elmendorf. 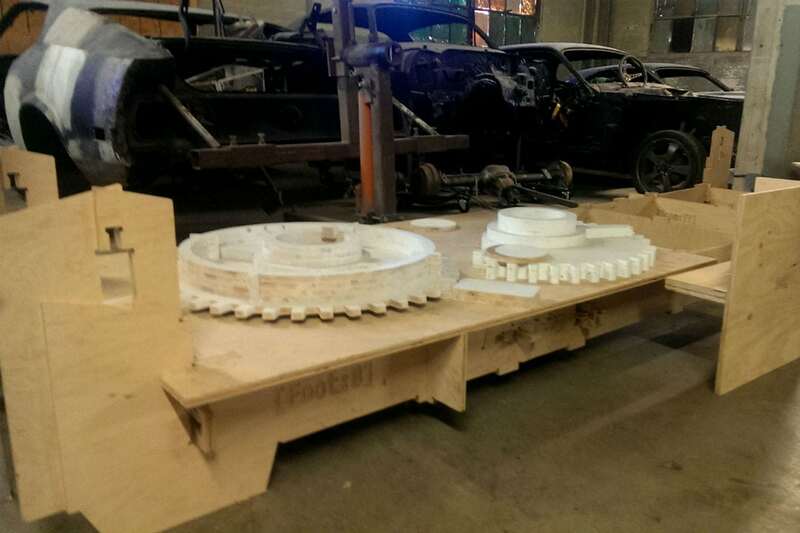 Elmendorf builds most of his projects with this CNC router made by ShopBot. Elmendorf, who works with his brother, Dirk, is working on projects that make the designer the focus of the manufacturing process. 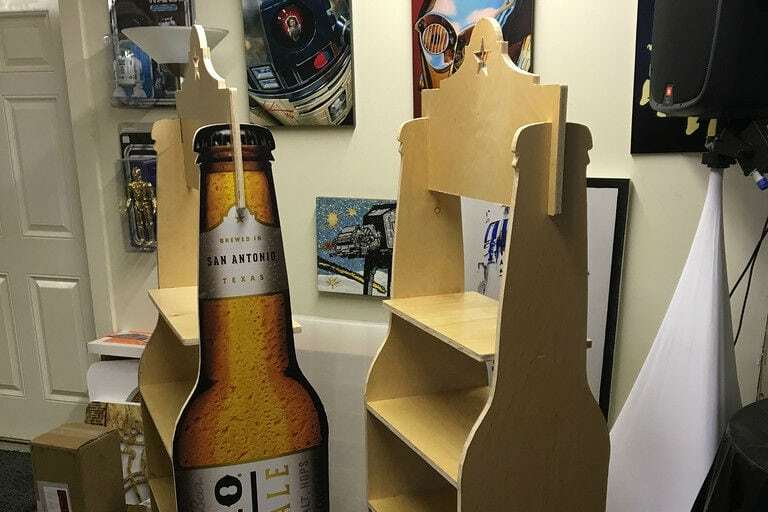 They've found some interest, building this beer-shaped endcap for Alamo Beer. And this prototype of a display for SnackDot. Much of the work was for use in the old coffee factory, meant to fill its thousands of square feet of space. This is a wall that Elmendorf used software to design, which he cut with the CNC router and assembled by hand. 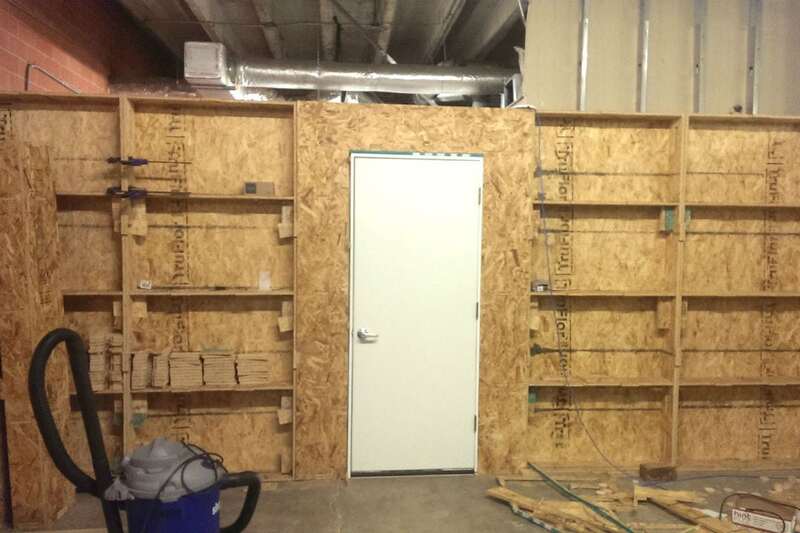 The door is not hand-made, however and cost about as much as the entire wall, he says. 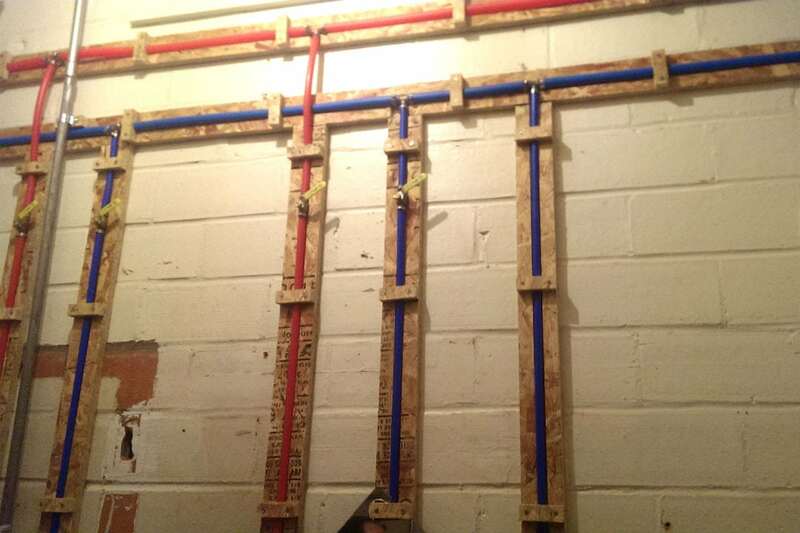 A prototype of the wall, no more than one foot tall by a foot wide. The prototyping allows Elmendorf to make sure his design is correct. The walls could be valuable to a company with an open office, if they want to section out space, he says. Elmendorf has various other side projects, including Blinkdom, in which he works with LED lighting to make synchronized displays. 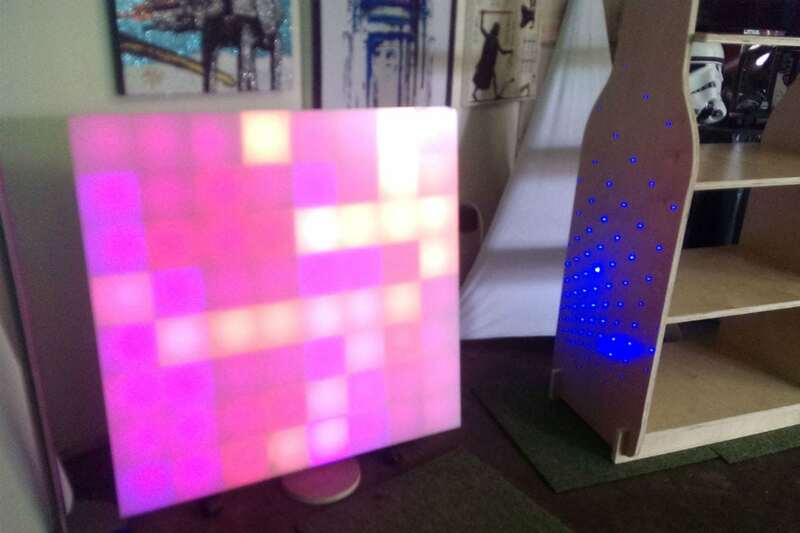 He uses Raspberry Pi, a tiny, affordable microcomputer, to tell the LED lights what colors to display, creating art that he calls his “digital fish tank.” This setup is based on a kit he ordered online. 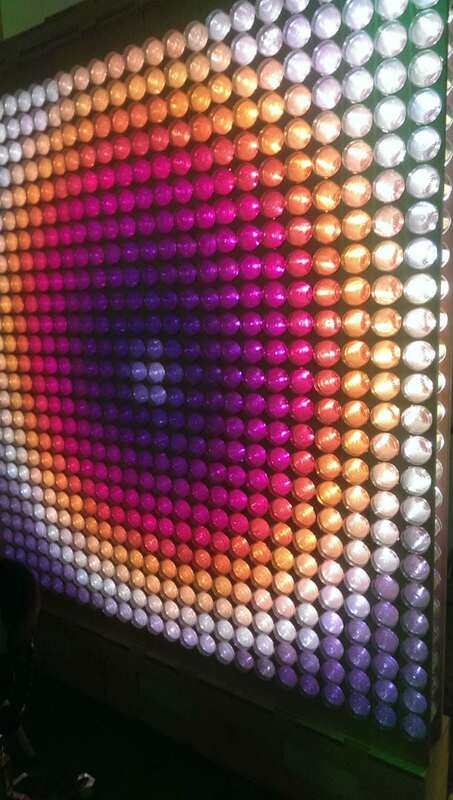 This is a more recent Blinkdom display, made using empty bottles of Hint, a brand of fruit-infused water. Elmendorf has cases of the unsweetened flavored drink, a habit he developed when trying to get off of drinking soda. He has hundreds of other empty bottles. Elmendorf is making an attempt to build his own air conditioning system, hoping to cool the warehouse down by running cool water through plumbing made out of a type of polyethylene piping. He doesn’t want to pay for AC throughout the gigantic warehouse, so he’s theorizing the cool circulating water would pull heat out of the rooms. 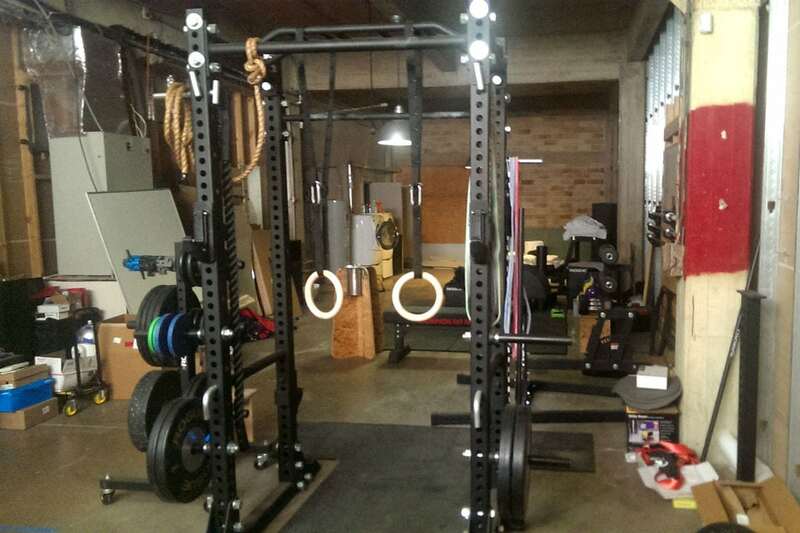 Even though it can get hot in the building, Elmendorf still has an in-office gym. 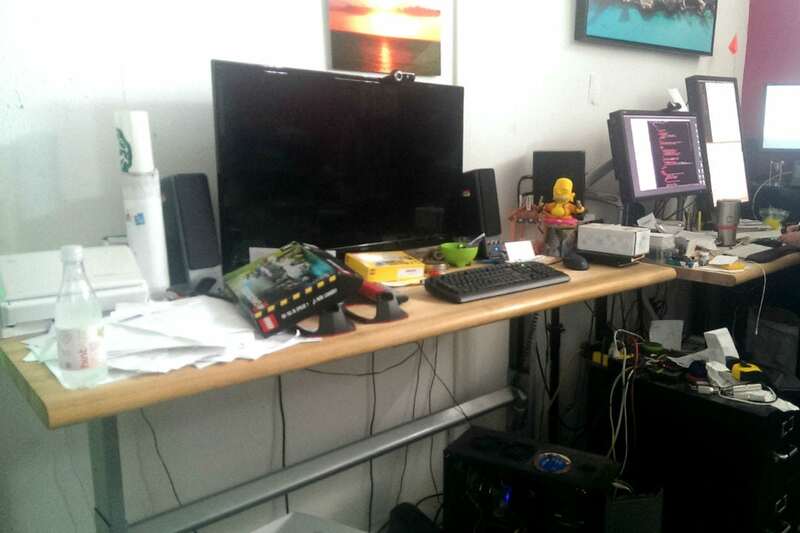 The only air conditioned part of the building is where the Elmendorf brothers’ keep their software development work space. Next to that are all the historic memorabilia related to the former coffee factory that Elmendorf has gathered over the years. 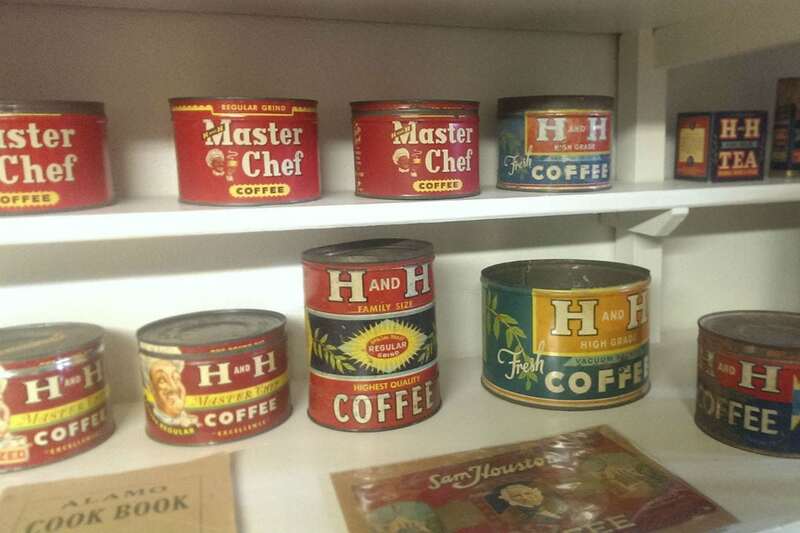 Tin cans of H&H’s Master Chef Coffee, which Brett Elmendorf found while antiquing. H&H was founded in 1899 and Elmendorf believes it operated through the early 1970s. 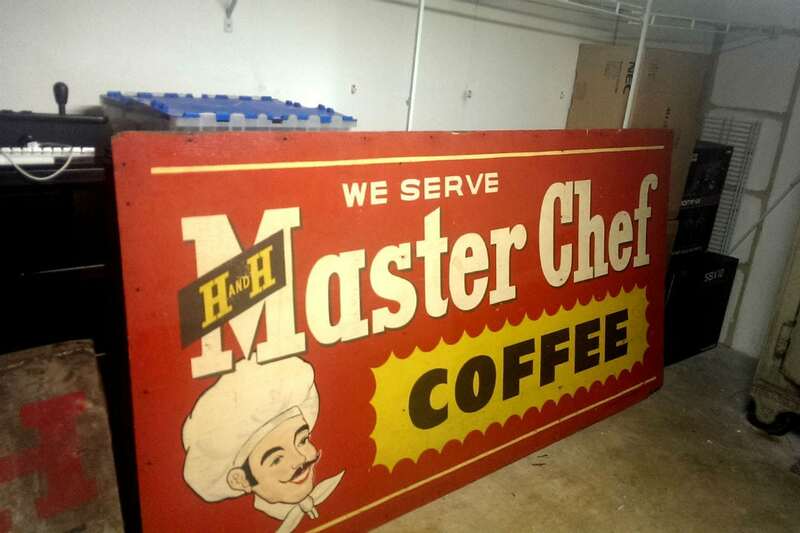 Another antique sign for H&H Coffee. Elmendorf built a website dedicated to the warehouse and its history, which he also uses to find people who might have artifacts (http://www.handhcoffeefactory.com/history/). 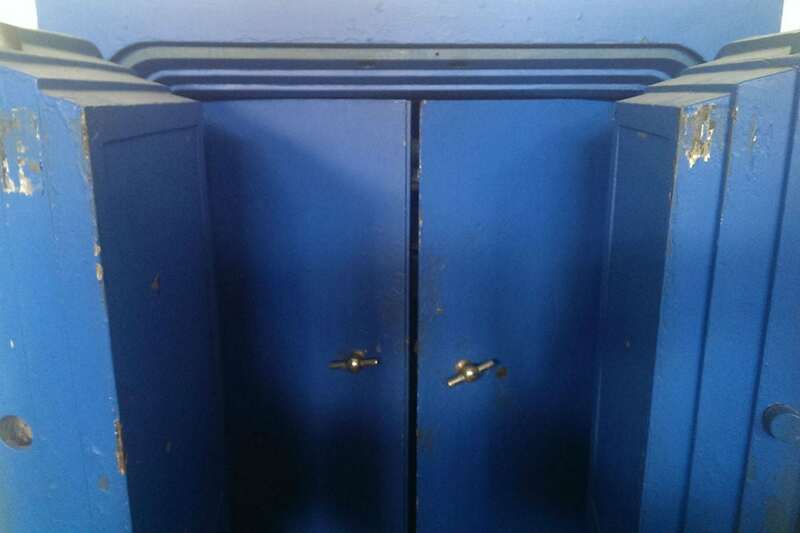 An unopened safe that H&H Coffee used to store money in before there was a strong central banking system. Brett hasn’t tried to open the safe. “It’s not a technological issue, it’s a philosophical one,” his brother Dirk says. Brett imagines they will try it at some point. “I have a feeling that it’s totally empty. But I don’t want to know that,” he says. 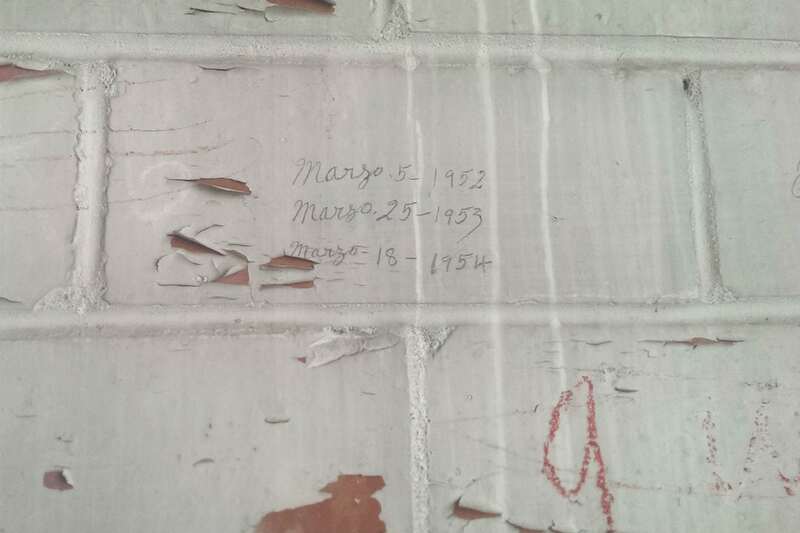 Writing remains on the walls from the building’s days as a coffee factory. Elmendorf believes the writing was a way to keep inventory, marking when product arrived or left the factory. This is on the second floor, which was added in the 1950s. Elmendorf has also used his CNC router for some fun projects, too. Notably, Brett Elmendorf made his own bathtub and shower. 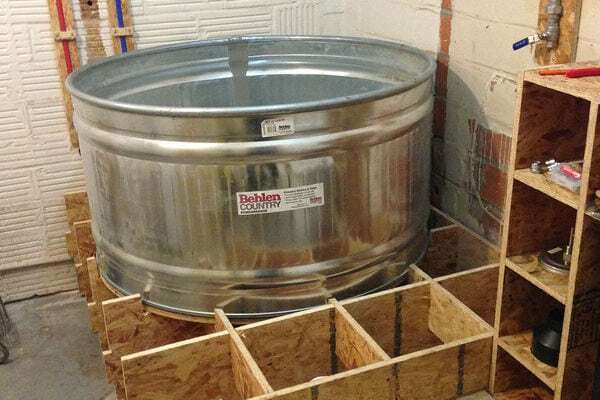 The prototype for the bathtub base. He's also used it for some unique ones. Elmendorf found an online design for Charles Babbage’s theoretical difference engine and created an enlarged version of one of the engine’s parts. 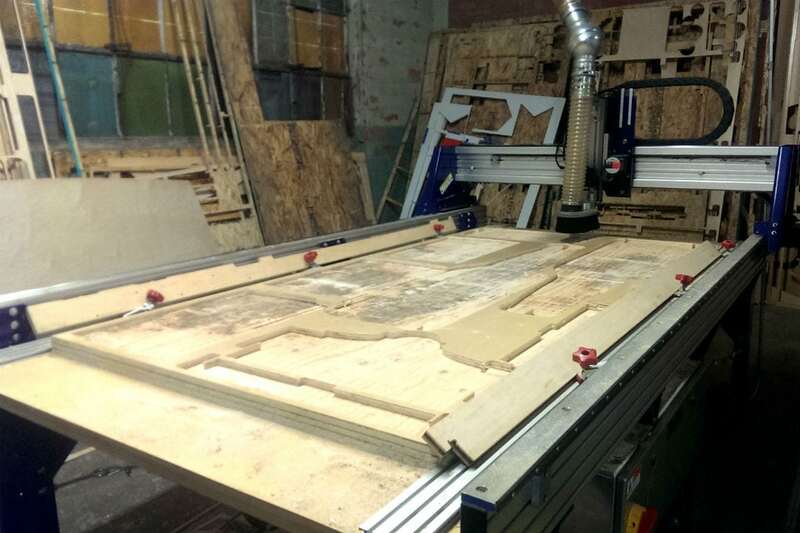 It is resting on a prototype of a WikiHouse, one of the first cuts he made with the CNC router. 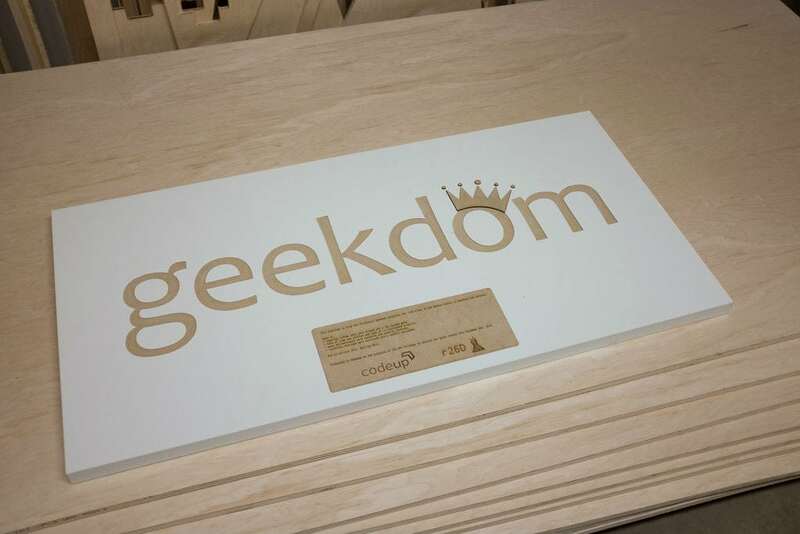 Most uses were were for practical products, such as this sign for co-working space Geekdom. 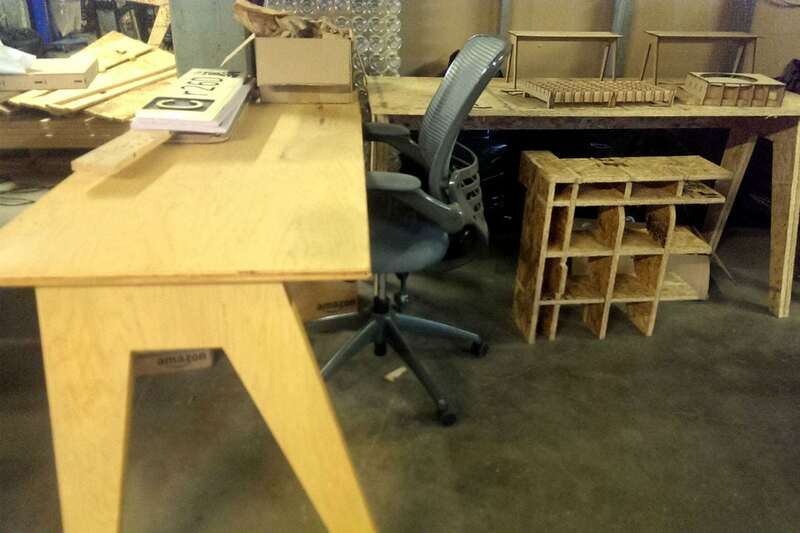 Or desks, including one finished desk (foreground) and two previous prototypes (background). 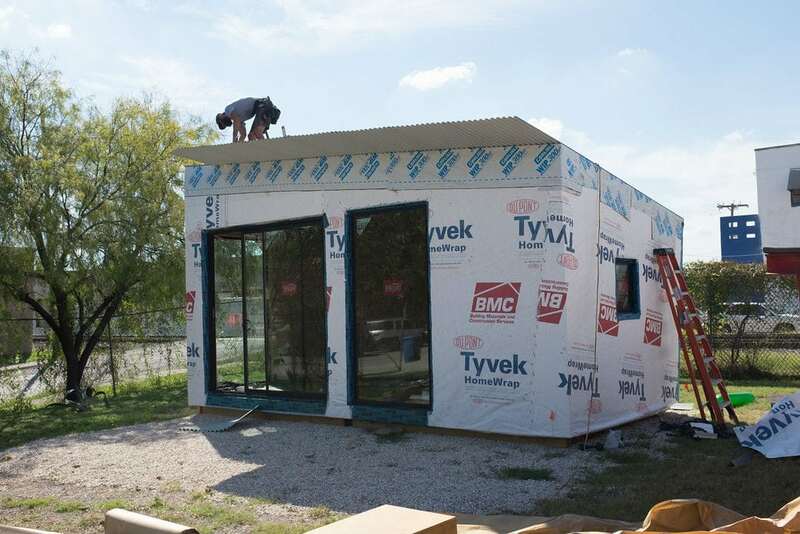 Prototypes of Rising Barn homes (software-designed affordable housing). A Rising Barn home nearing completion in front of Elmendorf’s factory. 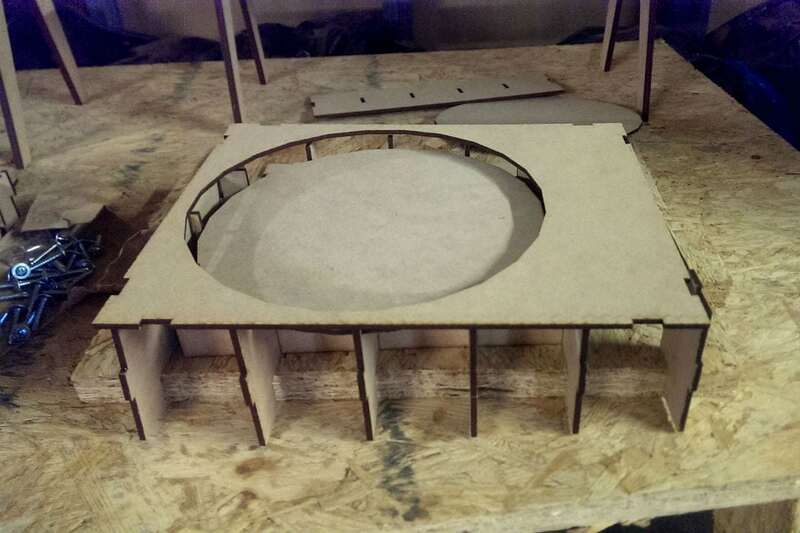 The cuts for the first Rising Barn models were built with the CNC machine, though the company now has the wood cut elsewhere. 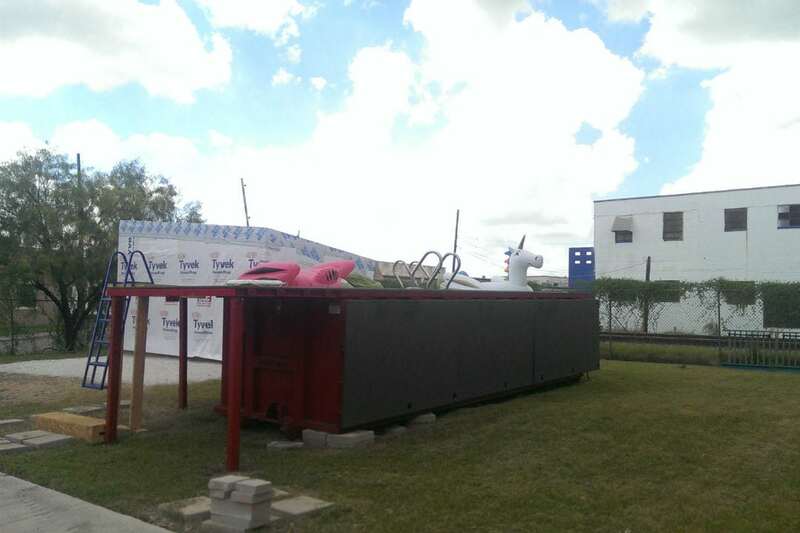 Perhaps the most unique part of Brett Elmendorf’s complex is what he calls the dumpster pool. A first version of the pool, built out of a shipping container in 2009 by artists and real estate developers in Brooklyn seeking respite from the heat, was forcibly shut down by city officials. The city eventually relented and had the builders recreate them. This is one of those. Elmendorf obtained his pool from the Museum of Contemporary Art in Tucson, AZ. 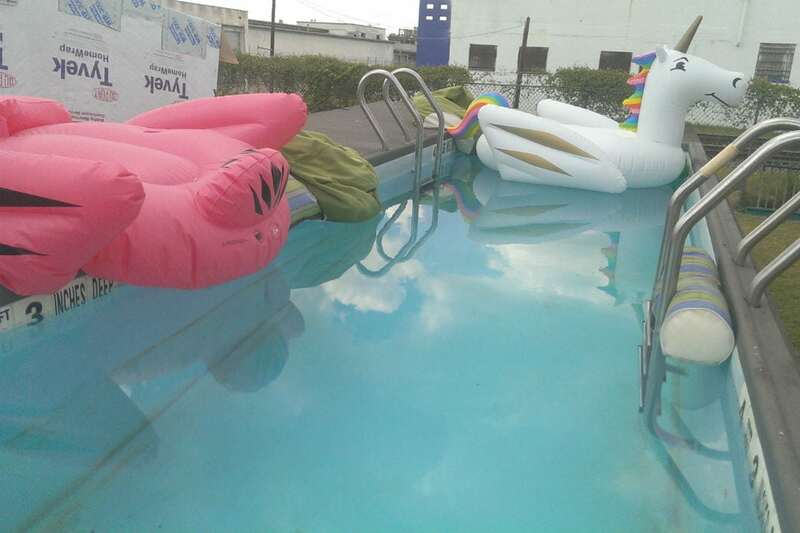 Three pools were being sold to support the museum. Inside Brett Elmendorf’s converted coffee roasting factory. On the left is another wall he built. San Antonio—There’s an industrial factory about two miles southeast of downtown San Antonio that was built for a coffee company but, sometime after the 1970s, it became home to an HVAC business. That was lucky, the factory’s current owner says, because there’s at least one room in the 26,000-square-foot complex with air conditioning. That’s the room where the owner, Brett Elmendorf, designs software, tinkers with computer-based lighting projects, and keeps a full bar. The rest of the expansive building is for every other project he works on—and there are a quite a few. 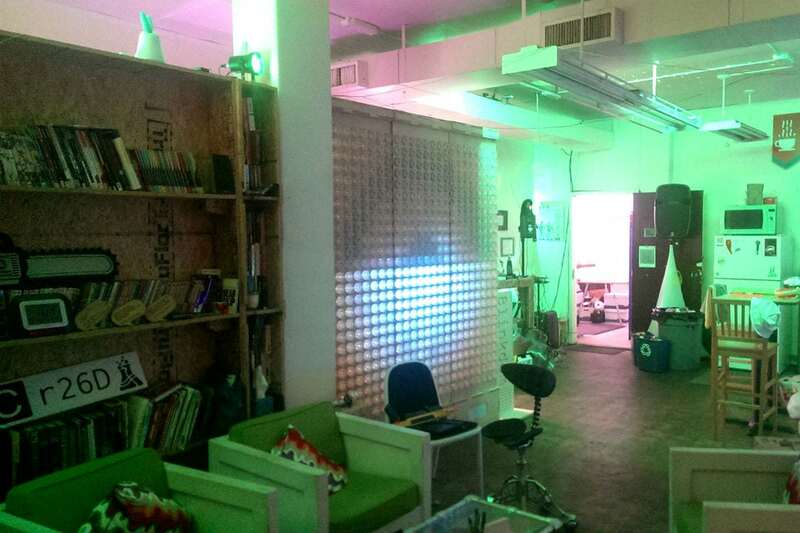 Woodworking, a hand-made shower, computer-based LED art, R2-D2 replicas—even a dumpster pool. Elmendorf’s warehouse feels a bit like a museum, filled with relics of the building’s past life as a coffee roasting plant and its current use as a technologist’s maker space. If it is a museum, Elmendorf is the curator, artist, and guide. It’s the kind of place you’d dream to own if you were a child who liked to tinker and experiment—a vacant two-story factory where a weekend scientist can try to make even the wildest experiments happen. Elmendorf’s warehouse is much like San Antonio itself, a city best known for its history, such as the Alamo, but one that is also an emerging tech market. New media, cloud computing, and cybersecurity businesses are popping up monthly in downtown San Antonio, surrounding the historic Alamo. Elmendorf and his brother, Dirk, work out of the coffee factory on a daily basis on various projects, ranging from helping local companies fix bugs in their software to minimalist construction projects, like building desks, walls, and even homes. Their names are well-recognized in the tech world, particularly in San Antonio. Dirk co-founded Rackspace in the late 1990s with some classmates from Trinity University, and Brett later joined the cloud computing giant’s software development team. It became a multibillion-dollar business before offering shares to the public in 2008, and then being taken private earlier this year for $4.3 billion. The brothers are also involved in other areas of San Antonio tech. They run TruckingOffice, which provides business management software to small trucking companies. And they take on freelance software projects for other local startups. Brett handles the interface and design aspects of the work, calling himself a technical designer, while Dirk does the heavy coding and programming. Brett is also a co-founder of a startup, Rising Barn, which uses precise architectural designs to build low-cost, high-quality housing. 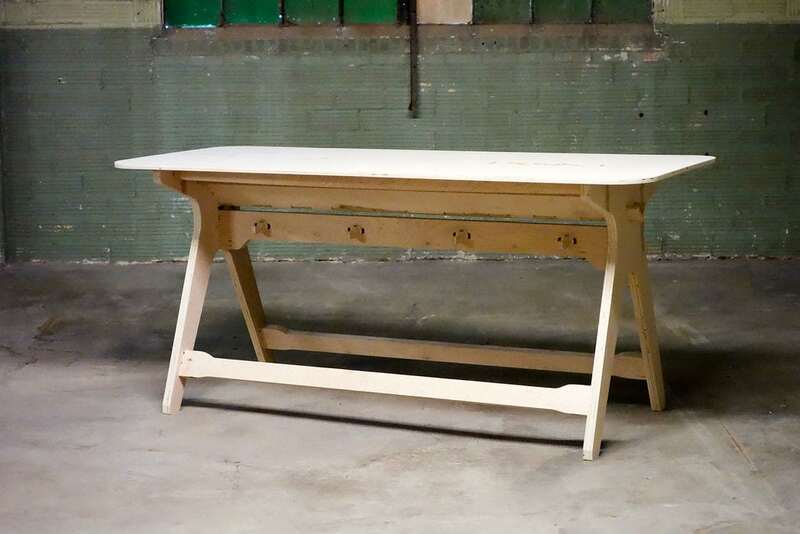 The company’s prototypes were built using a CNC router (in lay terms, it’s basically a really big table saw) that Brett keeps in the warehouse. The CNC machine is connected to a computer that Brett can feed designs to using a software program. Brett became involved with Rising Barn because he and Dirk bought the CNC router to build things they needed for the warehouse. It’s a big building after all, and to make it work for their needs, the brothers decided to create their own furnishings and, sometimes, build their own walls instead of spending loads of money on hiring crews. “We’re recycling a factory,” Brett says. But they also wanted to experiment with the process of construction in a way that allowed the designer to be the most important person in the project, rather than the builder. That would mean applying a software development mentality to construction, which can be costly and inefficient because builders are often only able to solve problems only after they happen, the Elmendorfs say. 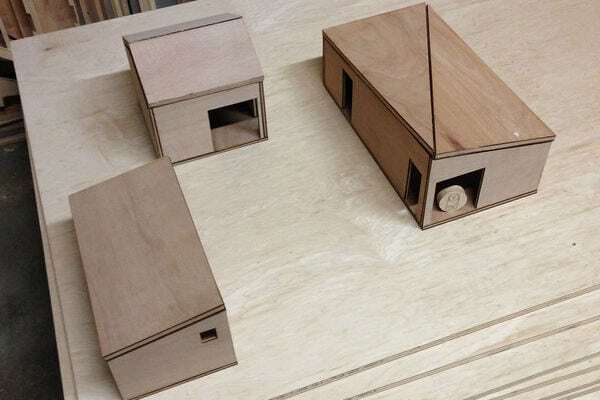 Brett began creating designs of products they wanted to build, tweaked them in a computer program to make sure they were correct, and sent the designs to the CNC machine to cut cheap wood into prototypes. If the prototype worked out, they could use high-quality material for the final product. That’s the same thing Rising Barn’s other co-founder, a trained architect, was trying to do, which spurred a partnership with Brett that you can read more about here. But the design-focused process has drawn a few other referrals to the Elmendorfs, particularly from people who had unique or expensive construction projects. The brothers handle those referrals through a research and development business they call r26D, with 26 representing the hex code for an ampersand, Brett says. 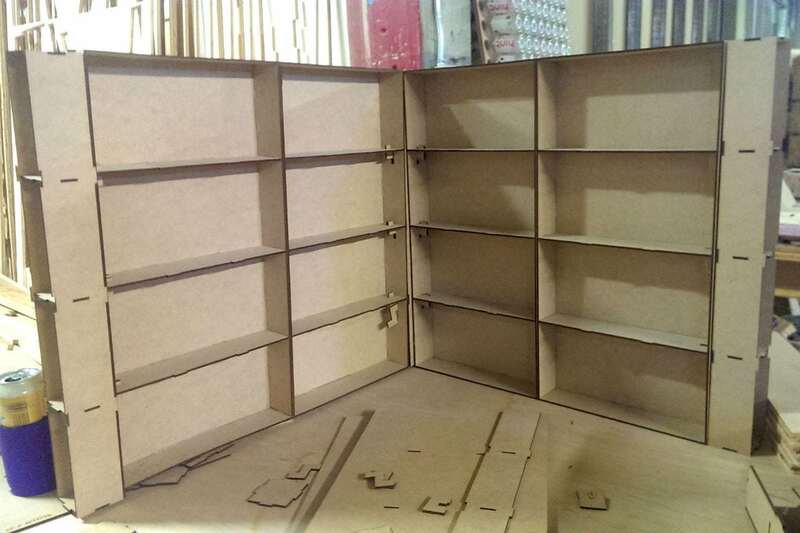 One referral was from Alamo Beer, which wanted a display case shaped like beer bottles. 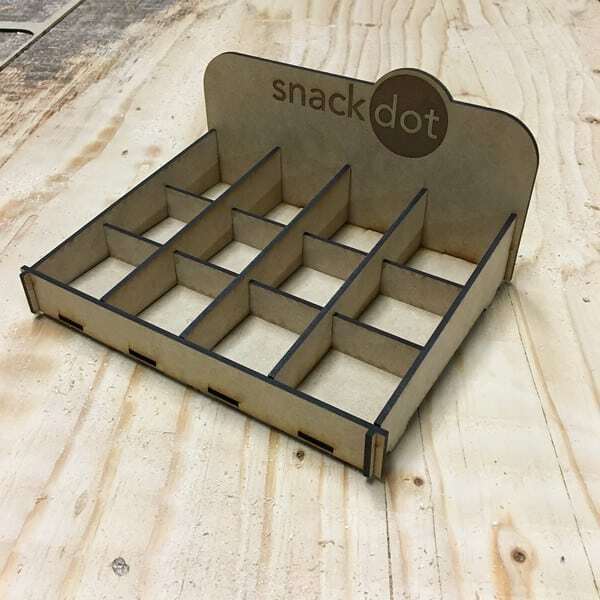 Another was for a prototype countertop display for SnackDot, a local snack-selling startup. The Elmendorfs have also designed and built signs for coding school Codeup and the bustling downtown co-working space, Geekdom. Brett and Dirk Elmendorf say their intent with their design-focused approach is not just to get customers. They started doing this so they could make low-cost products that are appealing, useful, and not incredibly expensive for their building. Though, it’s not like they’d be against selling things. Rather than trying to transform the construction industry, Dirk says, they’re doing something more similar to what craft brewers did to the beer industry in the late 1970s and early 1980s.